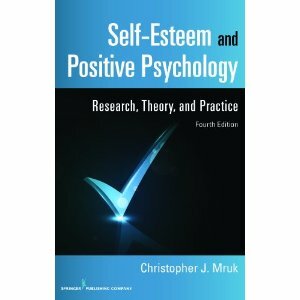 This research and clinically oriented book begins with a review of major self-esteem research, findings, theories, and enhancement programs, in that order. This information is then integrated into a comprehensive theory of self-esteem based on defining it in terms of competence and worthiness. The view of self-esteem that results from this approach also examines both common and DSM IV related self-esteem problems. The theory is then taken to the practical level which culminates in an empirically supported, step-by-step self-esteem five week enhancement program for use in clinical and educational settings. The book ends with a look at the role of self-esteem in the emerging science of modern positive psychology. "The third edition of Self-Esteem Research, Theory and Practice remains THE source for a truly integrated approach to self-esteem. This edition is thoroughly updated, is clearly written across readerships-whether researchers, theorists, or clinicians or leaders of self-esteem enhancement groups, and persuasively argues for the place of self-esteem within contemporary positive psychology." Constance T. Fischer, Ph.D., ABPP, Professor, Psychology Department, Duquesne University, 2006. "Low self-esteem underlies many of today's most pernicious moods disturbances. Scholarly as well as practical, this volume offers a cogent analysis of the recent literature on the enhancement of self-esteem along with concrete treatment strategies." Behavioral Science Book Service (about the first edition).